Free. Includes dinner. Registration required. 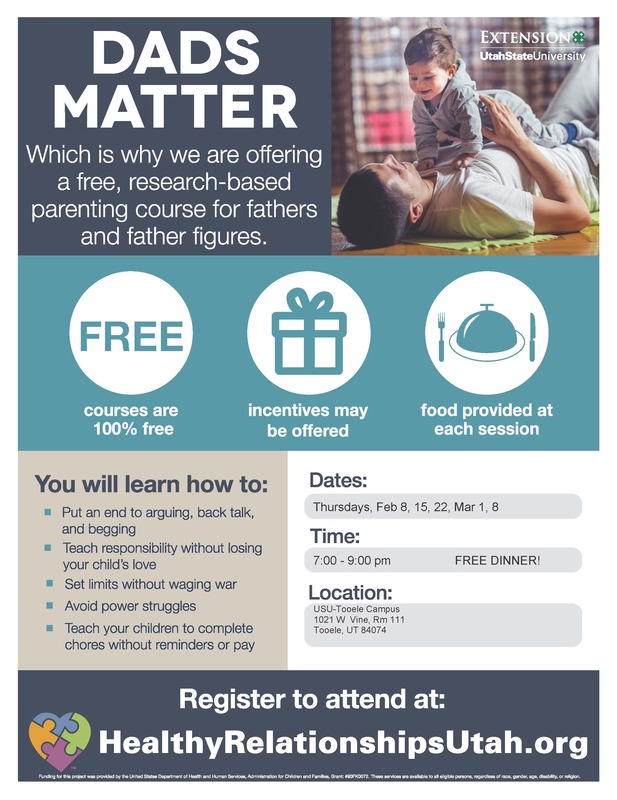 A free five-session course for fathers and father-figures because Dads Matter. Learn how to end back talk, set limits, avoid power struggles, and teach responsibility while keeping your child’s love. Food provided at each session. Registration is required at HealthyRelationshipsUtah.org.